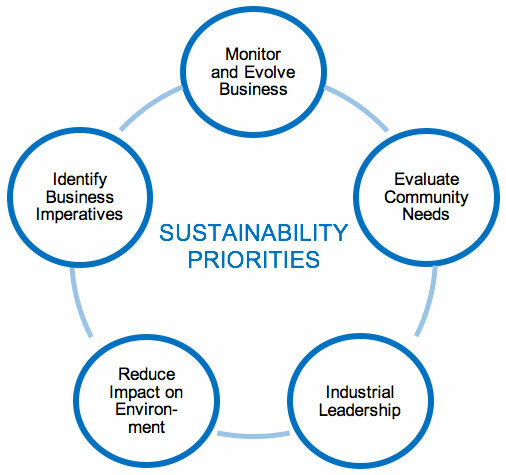 To identify our highest sustainability priorities, we began by evaluating the needs of the regions we operated in and identified where those needs intersected with People Services business strategies. Our sustainability strategy and reporting processes were developed with regular engagement with customers and peer companies, academics, industry associations, and non-regulatory organizations. Our strategy includes setting ambitious targets for reducing our carbon footprint, minimizing landfill waste, increased community engagement, and developing exceptional services and solutions that enable our customers to meet their goals.